Dosa Plate in Delhi, Dosa Plate Manufacturer/Supplier in Delhi. Bestowed with an ingenious team of designers and advanced production unit, we have been able to introduce an exclusive range of Dosa Plate. 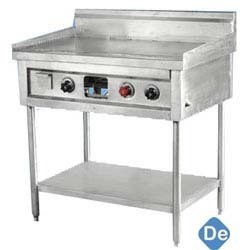 The provided plate is manufactured using premium quality stainless steel alloy and latest techniques. Additionally, our provided plate is processed adhering to industry standards and quality norms. The offered plate is examined on set quality parameter in order to deliver better range to the clients. Also, this plate is made available in various sizes and shapes.